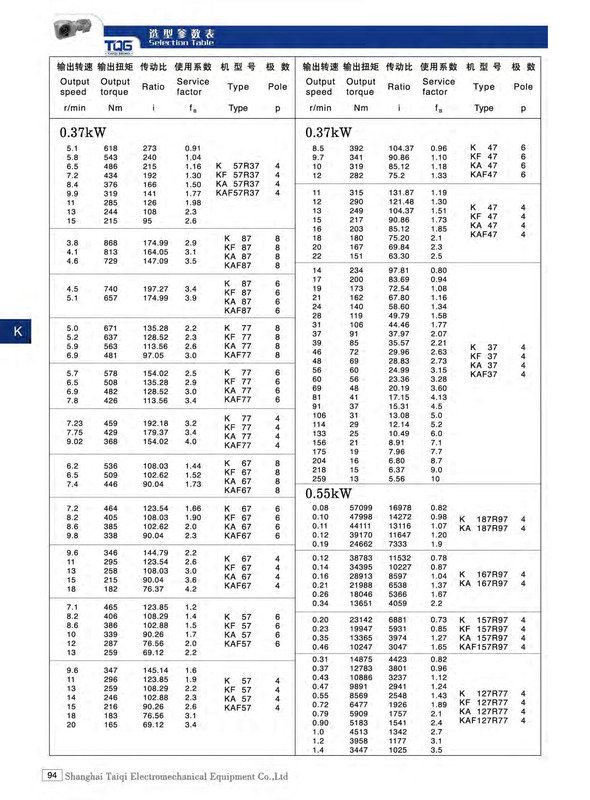 Models: 37, 47, 57, 67, 77, 87, 97, 107, 127, 157, 167, 187. 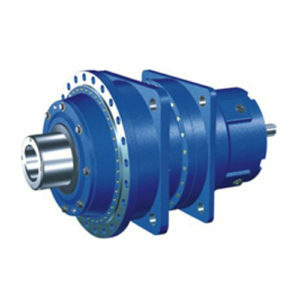 Taiqi seiko is a professional manufacturer of K series spiral bevel geared motor, which features of compact structure and high transmission torque. 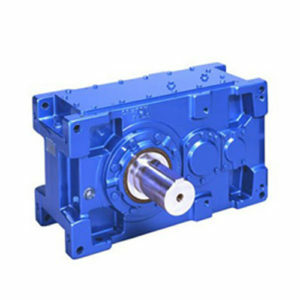 TQG K series helical bevel gear reducer is a kind of right angle speed reducer which can give full play to a maximum performance and can achieve efficiency up to 95%. TQG K series helical gearmotor is the best choice for non-stopping working situation due to its durable and reliable design and manufacturing process. 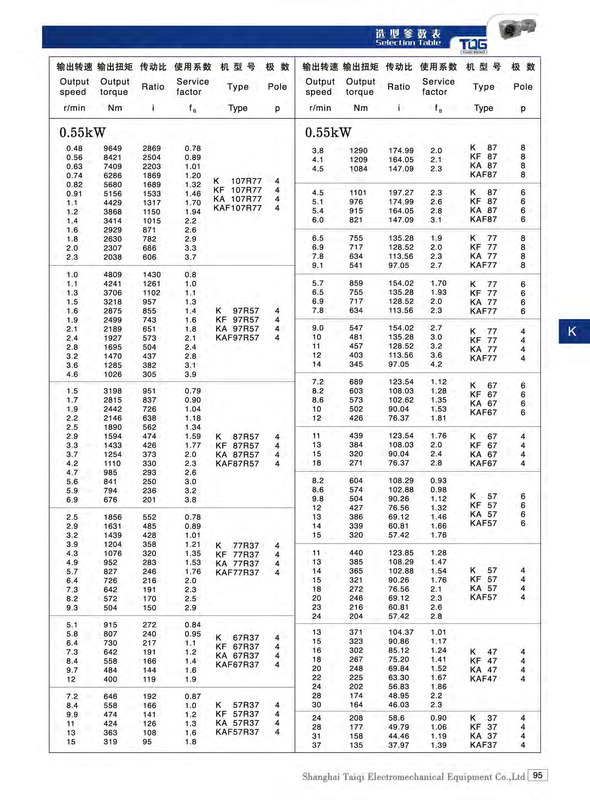 The spiral bevel gear motor can provide more than 96% efficiency under torque direction and all input speeds. 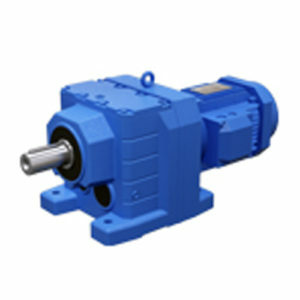 Durable gear design ensures the high torque output and wear-free drive of K series gear reducer . 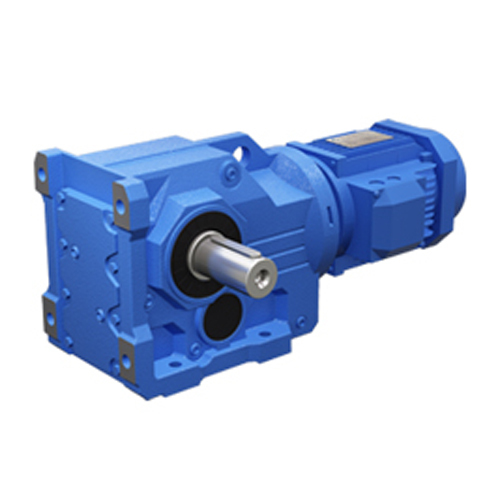 With our high efficient helical bevel gear motor, you can always use the energy-saving angular gear drives. Because of free-maintenance, Taiqi gear motor is featured with long service life and can be used with AC asynchronous motor, asynchronous and synchronous servo motor in all kinds of applications. In addition, we also provide low backlash version of gear reducer for your precise positioning needs. 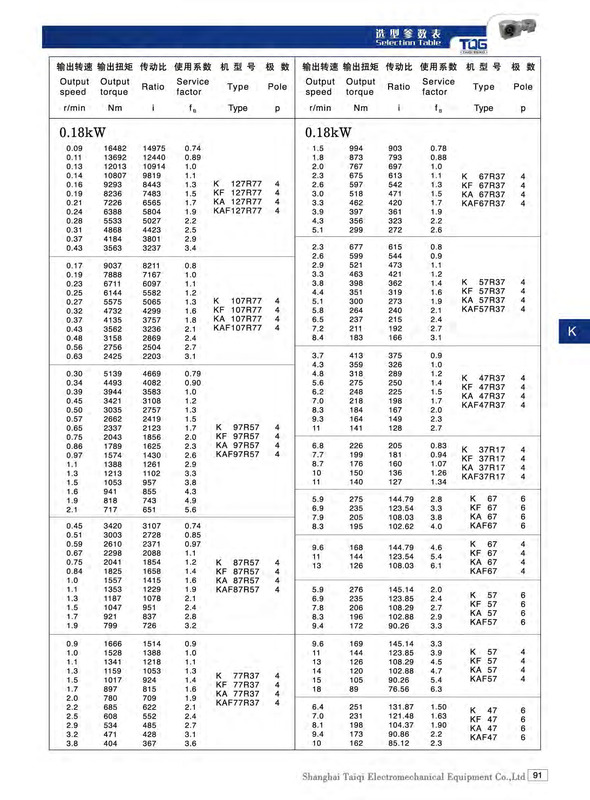 Many versions of K series helical gear motors are in available. 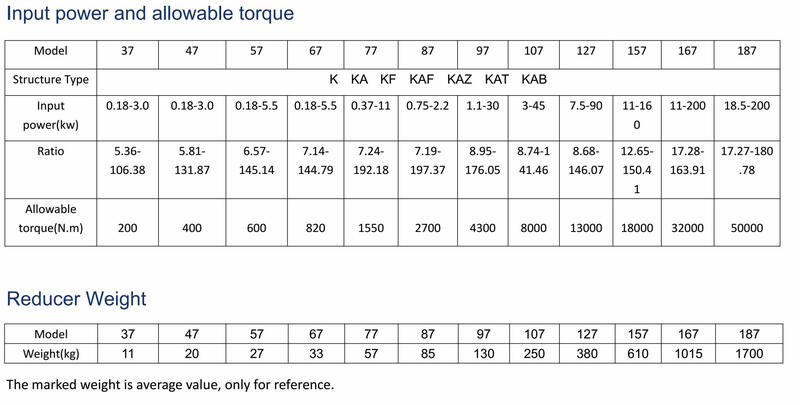 TQG helical bevel gear motor are designed with foot-mounted and flange-mounted. 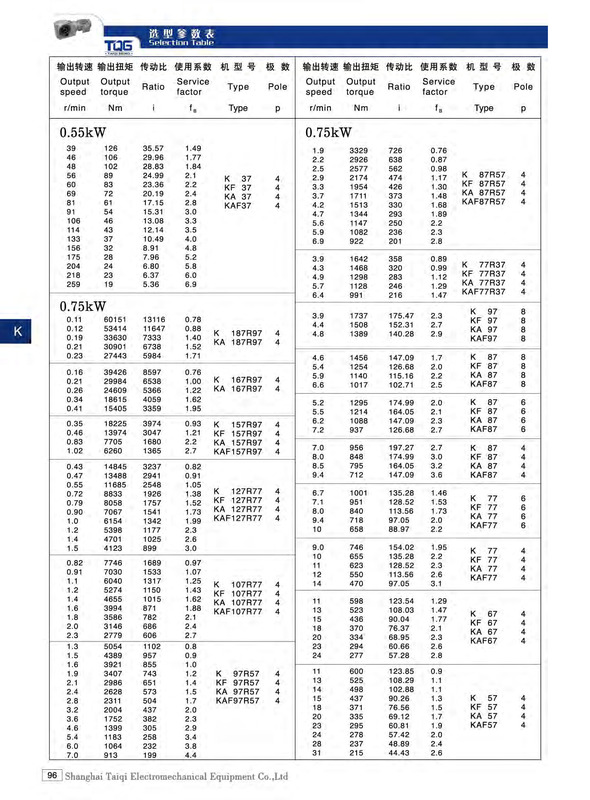 And for flanges of the gear reducers, TQG company has B5 and B14 to meet your unique requirement. 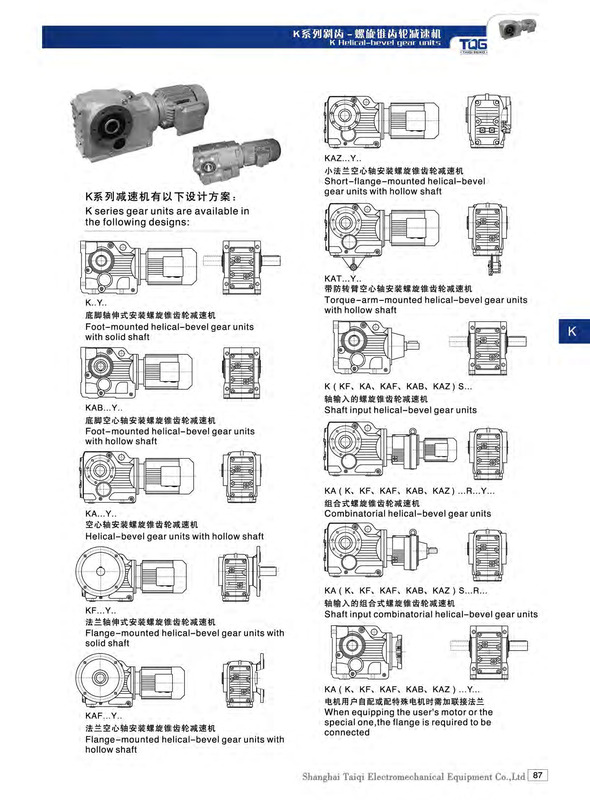 Besides, you also can choose TQG solid or hollow shaft type gear reducers according to your needs. 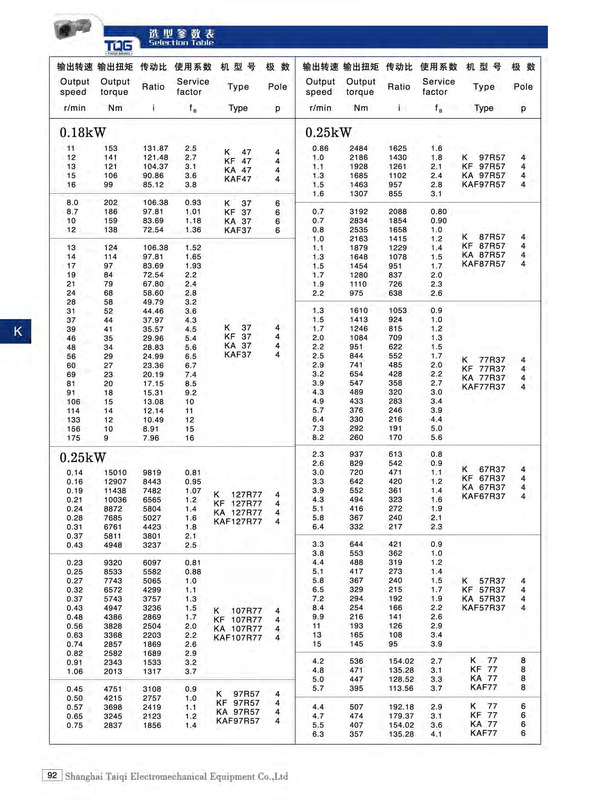 Further more, you can choose our gear motors designed with hollow shaft with keyway, shrink disk type or splined hollow shaft. For the detailed selection, you can consult our sales man. 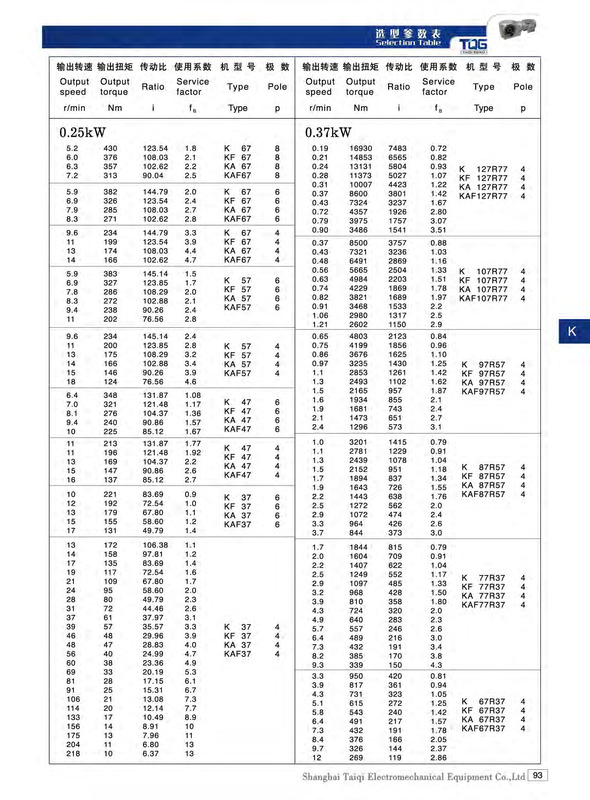 Taiqi seiko helical bevel gear motors are applied in all mechanical power transmission fields like industrial metallurgical equipment, construction materials industry, chemistry, mining, petroleum, transportation, etc.